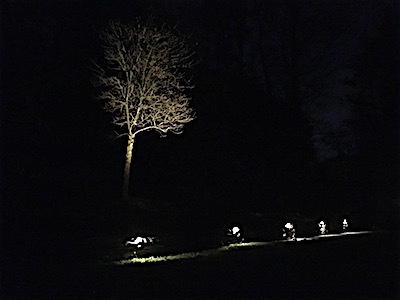 Adding landscape lighting to your property can instantly transform any ordinary landscape into something truly extraordinary while creating an inviting atmosphere which naturally welcomes your neighbors and guests while simultaneously deterring unwanted guests from approaching your home; and in many cases, you can even qualify for a discount on your homeowner's insurance policy for installing landscape lighting! And what's more? 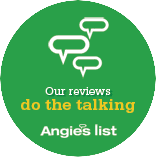 With new advancements in LED technology, you can rest assured that you can light up your entire landscape without running up your electricity bill. For most new systems, you won't even notice an increase in your usage! But what about the old systems? No problem, NorthShire Inc can retrofit most older halogen systems with new LED fixtures. You'll not only save on electricity, but also in the cost of replacing all of those expensive bulbs every year. New LED lights have life expectancies upwards of 20,000 hours, which means you can get well over 10 years out of a single bulb! 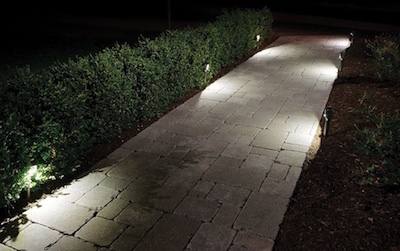 As part of the estimate and design process, NorthShire Inc. will provide you with a live landscape lighting demo at your home or place of business showing you exactly how the use of different techniques from uplighting to downlighting to path lighting and more can be used to illuminate your landscape! We understand implementing landscape lighting is an investment in your house, which is why we will help you design and implement the exact lighting effect you're looking for.